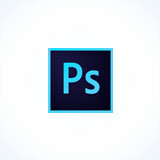 How can I open and convert an Image to PSD? ConvertImage knows how to write and convert your BMP photo in PSD format. ConvertImage opens automatically your PSB and PSD picture file and manages the native transparency of this format.